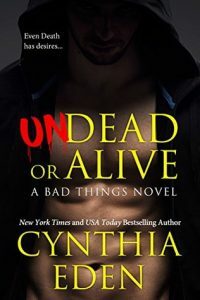 Undead or Alive by Cynthia Eden | Got Fiction? Don’t fear Death. Desire him. Cassius “Cass” Garvan is the last Reaper. One of the baddest of the bad…Cass can literally kill with a touch. He’s the bounty hunter who always brings in his prey, undead or alive. This time, he has a new target…the all-too-tempting Amber Fortune. Hunting her down was the easy part. Giving her up? Cass isn’t so sure that he can let her go. 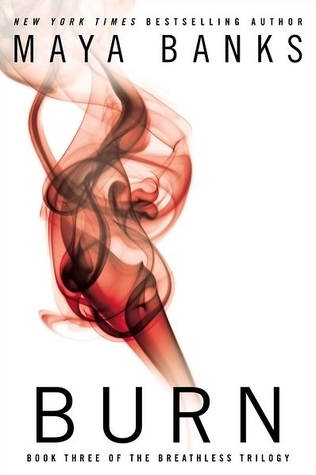 Amber has been on the run for decades, and she isn’t about to surrender herself to the Reaper. Sure, maybe she does have a weakness for bad boys. Maybe she does like guys who have dark sides—and a man can’t get darker than Death. And when Cass kisses her, she doesn’t fear his touch. She wants him. Wanting a Reaper can be a very dangerous thing. Once you fall for Death, there is no turning back. This was fantastic! Cynthia Eden never fails to keep me hooked. In this book, she introduces some new paranormal creatures, and they’re really cool. Cass isn’t just known as Reaper, he is the Reaper. The only one. The last one. And he’s very powerful. Luke (he’s been in all the books- basically he’s the Lord of all things Dark) uses him as a bounty hunter, but they don’t deal in money, they deal in magic. Cass has had some…magical upgrades. But being Death can be lonely. This time, when Luke asks him to look for someone, Cass’ price is a mate. He wants someone he can touch without killing. Amber is working as a bartender on Halloween when she looks up and sees Cass coming straight for her. She bolts. She doesn’t know who he is, but she knows he’s there for her. She bolts. Cass can track her anywhere. Luke wants her, he’ll deliver. That is, until he realizes no price is worth turning Amber over to Luke. Luke isn’t exactly known for his compassion, and while Cass doesn’t know why Luke wants her, he knows he can’t turn her over. And when he discovers Luke’s brother Leo (Lord of all things light) also wants Amber, he begins to wonder what they want with her. Amber isn’t talking. She knows Cass is going to deliver her to Luke, or that Leo will grab her on the way. Her goal is to stay alive and away from the brothers. And in the meantime, there’s an attack from someone they never saw coming. This is one where you really wonder how Cass is going to get them out of trouble. I had an inkling about Amber, but I was way off, so well done, Cynthia Eden. I was surprised at the end. The book can stand alone, but if you’ve read the first two books, you’ll get more out of it. 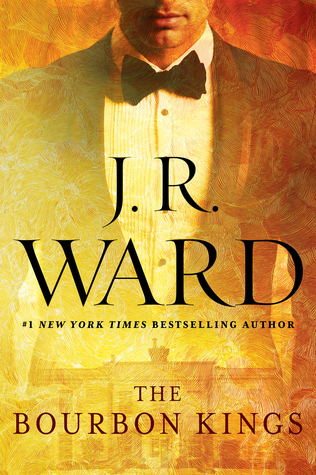 I hope you guys grab this novella, because it’s worth it. With a mysterious heroine, a lonely hero, and a suspenseful storyline, you can’t go wrong!